No skill we learn continues to challenge us throughout our lives in the way reading can do. And as wonderful as it was to see so many students return this morning — not only ready, but enthusiastic for a new school year — I have been inspired to share the reading that has challenged me most over the past year. Following are my thoughts about the seven books I enjoyed reading most these last twelve months. It is possible that you and I have read some of the same books in that time. Even better, perhaps you will find something that appeals to you enough that it makes your reading list for the next twelve months. In either event, I hope that you will let me know what you have read and what you are currently reading that may be of interest. 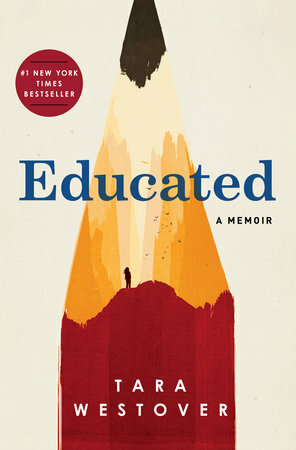 Everyone from Barak Obama to Jonathan Chein has recommended this memoir by the youngest child of seven born into a survivalist family in Idaho, and I am not breaking from that pattern. Of all the books on this list, Tara Westover’s memoir provided me the single greatest surprise. Westover’s father harbored a deep mistrust for every institution touched by the Federal Government. So when she attended university at 17, it was the first time she had seen the inside of a classroom. Nevertheless, in short order, Westover rose to the highest peaks of academia. Shunned for leaving her family, Westover’s reflections are remarkably stranger than fiction and incredibly compelling. I did not put this one down until it was done. This book found its way to my nightstand after I read that Giovanni Ribisi had used Maria Konnikova’s book as a reference in formulating his character in the Amazon series, Sneaky Pete. In the show, Ribisi’s character assumes the identity of his former cell mate, Pete, to endear himself to Pete’s family in an elaborate scheme to rob them. While I expected an expansive description of various swindles in which victims mistakenly place their trust in the turn of a card or the flip of a coin, I found instead a deep psychological dive into why people believe what should seem too good to believe. 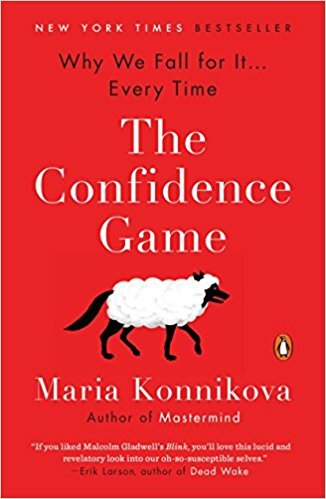 Konnikova concludes that we are all susceptible to this type of trickery because it preys simultaneously upon our instincts to trust one another and our belief that we are too smart to be had. In light of the evidence she presents, I believe that conclusion - and I understand well why Ribisi relied so heavily on Konnikova in his work. I never would have picked up the debut novel of former C.I.A. operative Jason Matthews were it not for the film released earlier this year starring Jennifer Lawrence. As much as possible, I like to read the books before seeing the adapted films (I loved both versions of Wonder and I’m looking forward to Stargirl, but I could have done without A Wrinkle in Time). 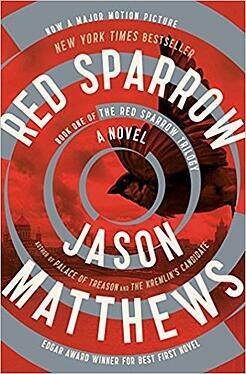 Young adult fiction aside, I intended to see "Red Sparrow" but I didn’t expect much from the novel. As the first of two books on this list I consumed in audio version, Kate and Charles and I listened to "Red Sparrow" on our family road trip through Yosemite and Sequoia National Parks and it was perfect for the occasion. We remained captivated by the story’s unrelenting pace in a way that was only counteracted by the likes of Half-Dome and General Sherman. As a bonus, every chapter ends with a recipe for foods appearing in the preceding pages. This book by Roy Jenkins is a tome for which I was not entirely prepared. The reading would have been much more efficient had I not been so frequently interrupted to research the obscure (to me, at least) parliamentary races of the 1920s and 1930s to which Jenkins refers while placing his subject’s early political career in context. 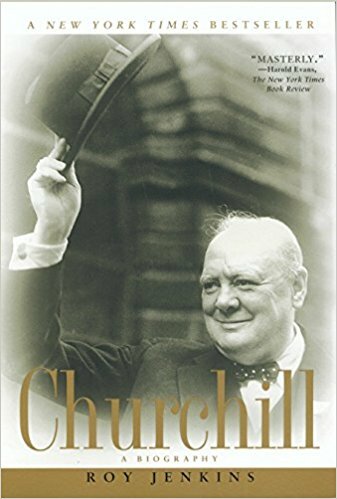 But in my quest to find a definitive source for information on Churchill ahead of seeing any of the films released in the last year about his life and deeds, I was led to Jenkins. However, if several diligent weeks of reading are not particularly appealing, I recommend instead watching Gary Oldman as Churchill in Darkest Hour, and then seeing Brian Cox in Churchill. Each film obviously relied heavily on Jenkins for its material. Together, the films do a very nice job of compressing the events and synthesizing themes from two extremely important periods reported by Jenkins. In August 1914, at the height of Antarctic exploration, Ernest Shackleton set out to lead the first team across the frozen continent. To accomplish this feat, two teams set out in ships, one to leave supplies halfway along the route the other would follow in making its crossing. The Endurance carried Shackleton and the team that would be first to cross Antarctica. Despite incredible hardships which became the subject of a separate book, the supply team was able to accomplish its mission. 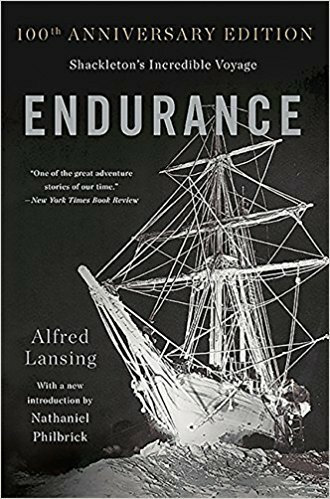 The Endurance, on the other hand, was quickly stuck between ice floes and unable to reach its intended starting point. The ship was eventually lost and everyone aboard forced to take shelter on the ice. Following two harrowing years of struggle to survive, every single member of the party was rescued - this much is part of history. How those men survived two years is the incredible story of this book. In his authoritative book outlining the origins of contemporary thought in behavioral economics, Richard Thaler points out that Adam Smith, when he wrote the seminal economic treatise The Wealth of Nations, began with a framework contemplating human existence. In the first half of the twentieth century, Thaler reminds us, academic economists moved the discipline toward mathematical models that assume everyone behaves in a consistently rational way to choose from many alternatives the option that will ultimately serve him best. 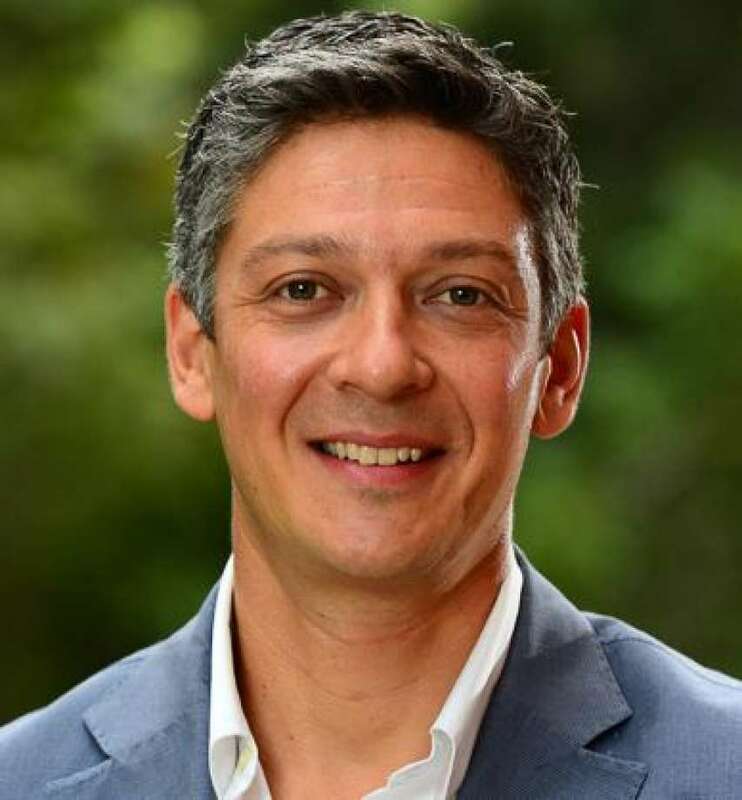 As a young academic himself, Thaler and some like-minded colleagues noticed many situations that defy the assumption that people behave rationally. 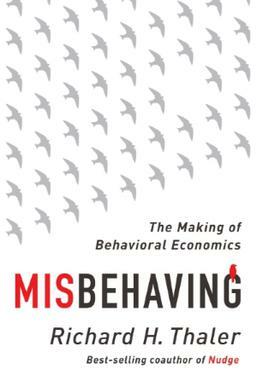 In "Misbehaving," Thaler writes not only about the many instances where people do not act in their own interests — healthcare and retirement savings are prominently featured topics of the book — but chronicles the infighting among economists to describe why we can observe behavior that falls outside the carefully crafted predictive models. In the end, Smith’s humanistic philosophy has a convincingly enduring spot in economic theory. 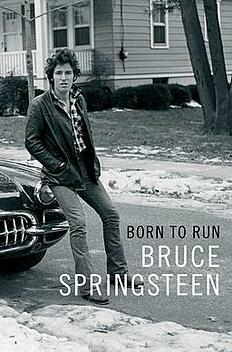 Even if you are staunchly opposed to “reading” the audio version of books, I recommend you listen to Bruce Springsteen’s autobiography because all eighteen hours of the story are told by The Boss himself. Springsteen and I were born in the same hospital, he attended high school where my mother completed her student teaching, and the house in which I grew up was only a stone’s throw from US Route 9 in New Jersey, the Highway 9 on which he was sprung from a cage in the titular song. Even without similar personal overlap, however, the love/hate relationship Springsteen writes about his hometown of Freehold is relatable. But the true appeal of this book is the author’s repeated descriptions of what has led to his success in music: hard work. In the end, Springsteen reminds us all that the cost of achievement is not talent or luck nearly as much as it is putting your nose to the grindstone.